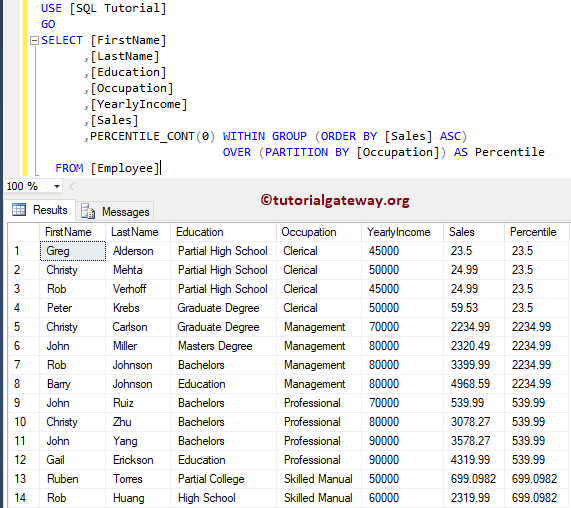 The SQL PERCENTILE_CONT is one of the Analytic Function, which will calculate a percentile based on the continuous distribution of column values in a table. 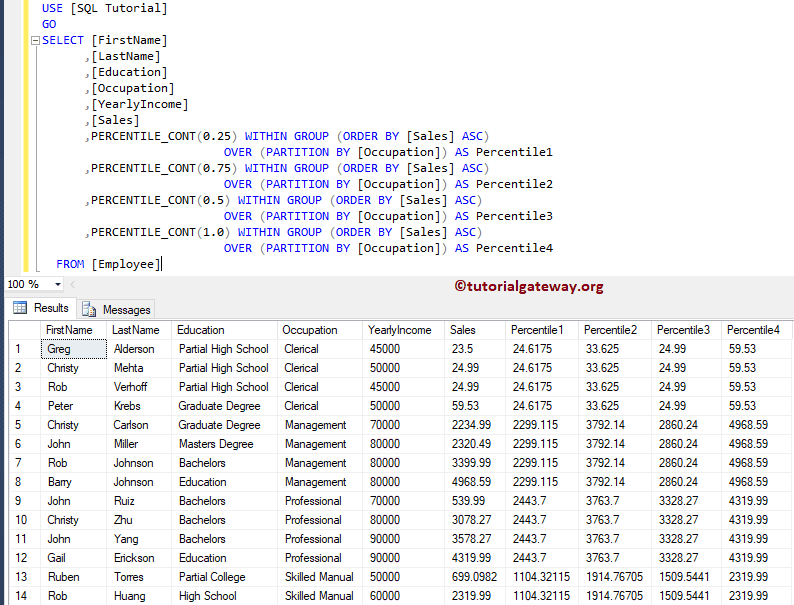 WITHIN Group (Order By_Clause): This clause will sort the data in a specified order within the group. Please refer SQL Order By Clause for better understanding. Over (Partition_By_Clause): It divide the records selected by the SELECT Statement into partitions. In this example we will show you, How to calculate the percentile of the partitioned records present in a table. 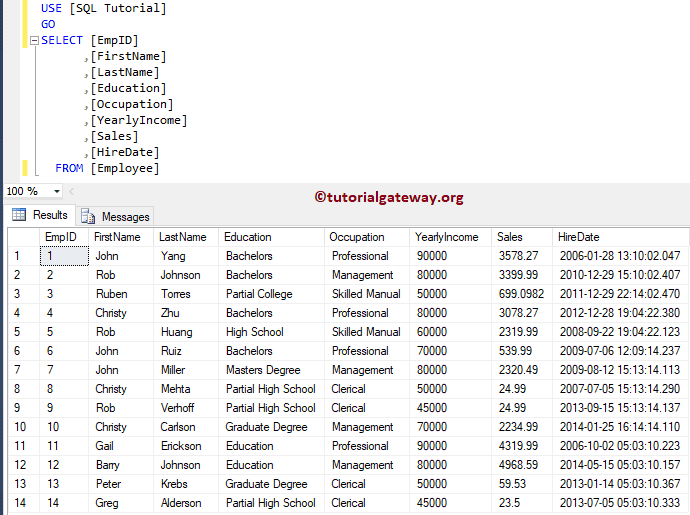 The following Query will Order the Data by Sales in Ascending Order, partition the data by Occupation. And then calculate the percentile for each partition independently. In this example we will use different numerical values inside the PERCENTILE_CONT function.